It’s your first time and you’re beginning to panic. You have no idea what to do, what to bring or what to wear. You’ve heard it hurts and that it isn’t easy, so what do you need to take on your first ever hiking trip? They say hiking is not for the faint-hearted, however, it doesn’t have to involve constant scaling of high terrain. When hiking, you’ll choose your path related to your hiking experience and of course your fitness level. First time hikers often make one mistake – they take the wrong things hiking, which of course will affect the outcome. Hiking is fun, so be prepared and read on to find out what things you need to pack for a day hike. Of course what you pack on a hike is weather dependent and you may have to adjust your equipment depending on the weather and season, but wet weather gear and sun cream aside, there are also essential items for hiking. Backpack – What else will you carry your provisions in? 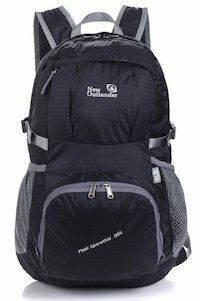 If you’re on a day hike, you won’t have to travel with too many items, so buying an expensive 75 litre ultra backpack for camping is unnecessary. Any backpack that has padded areas around the shoulders is sufficient. If you decide later on that you absolutely love hiking and wish to go on a 6-day hike then you can invest more and buy a professional backpack for camping and hiking. Backpacks with outside holders for drink bottles would be the best bet as it’s much easier to access your water while hiking without having to stop and unzip your bag constantly. We recommend this handy lightweight daypack as it would be perfect for your needs. It doesn’t matter whether you’re a seasoned hiker or not, one of the most important items you can take with you when you go hiking is your mobile phone. Mobile phones have saved many people’s lives while they’ve been out and about in unfamiliar territory, so don’t leave home without it. These days your phones can multitask. They’re used to call people, but if you download apps for hiking, you’ll also have a compass, a route mapper, a distance tracker and so on all in one device. Even the most experienced hiker hiking on an unknown trail for the first time should be well-equipped when it comes to hiking orientation gear. A map of the area you’re hiking is essential. This is not something you pull out halfway through your hike because you find yourself suddenly lost. Study it prior to your hike to ensure you know the way and terrain. If you’re interested in learning more about the area in terms of geography, history and wildlife, you can also take a hiking guide book with you or better still photocopy the pages you need to ensure your hiking backpack isn’t too heavy. 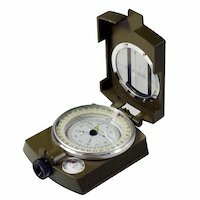 If you’re heading out into rugged terrain that isn’t signposted, it’s also a good idea to carry a compass with you, but for this to be useful, you need to know how to use a compass. One of the most important things you need to pack when you go hiking is water or enough liquid to remain hydrated. Take enough water with you that you can access at all times, more so in the hot summer months. Some people sweat more than others, but regardless of this sweating causes fluid and electrolyte loss and this is accelerated 3-fold when hiking uphill. Water is naturally the best thing to take hiking, but specially formulated sports drink work just as well. Avoid any kind of drink that’s going to dehydrate you like caffeinated drinks, fizzy drinks and alcohol. Hikes can often take longer than expected, which is why it’s advised to take more liquids than you’ll need because you can never be too sure. Snacks are necessary. Naturally throughout a normal day when you’re not hiking, you’ll feel your energy levels drop and this is even more evident when hiking. When deciding which snacks to take on a hiking trip, you need to consider the amount of energy they’ll give you. Your body can be compared to a car – without fuel, you’re not going anywhere! High energy snacks that are ideal for a hike include dried fruit, muesli bars, trail mix, beef jerky, chocolate, and sweets. Not only do you have to consider how much energy these snacks provide, you also have to think about the weight, which is why it’s advised to go for dried fruits as opposed to fresh fruit. It may sound silly, but extra socks when hiking are a must. Good hiking socks are essential. These provide comfort to your feet and help prevent blisters. But you never know what’s going to happen. If your feet get wet from the rain or you step in a large puddle or creek, you’re setting yourself up for a lot of discomfort and blisters if you don’t take a spare pair of socks when hiking. 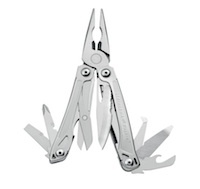 A Swiss Army Knife is a multi-purpose knife designed for many uses – you just never know when you’ll need some kind of tool whether it is a knife, a can opener, a file or something else. A multi-purpose knife is a hiking and camping staple, so don’t leave home without it. Check out our camping utility knives page for more info or go one step further and look at a bushcraft knife if you want something a bit more heavy duty. It doesn’t matter if you’re a serious hiker or a novice; a decent pair of hiking boots is a must. Hiking boots are designed for one thing – hiking. Without a good pair of boots for walking in the mountains, your hiking time will be limited. Good hiking boots are waterproof, have good grip and also ankle support. If it’s your first time hiking, make sure you wear them in properly otherwise you’ll end up with blisters and other nasty sores on your feet from the rubbing. Our advice here is to invest in a decent pair of boots when you are starting out and your feet will love you for it. If you’re hiking in the summertime, a hat is an absolute must. No matter where you are in the world the sun is dangerous. Too much sun exposure will cause headaches, dizziness, and in extreme cases sunstroke. Usually, any kind of cap or sunhat will suffice while hiking, but if you’re hiking in an area that’s known to have a lot of sun it’s a good idea to invest in a floppy hat with a big brim. A floppy hat will not only keep your face and head protected from the sun, it will also protect areas of your body that are more susceptible to sunburn like your ears and the back of your neck. Just like your head, your eyes also need protecting from the glare of the sun. Sunglasses for hiking are essential in all seasons. Wear a comfortable pair of polarized sunglasses with UV protection and if you’ve got more than one pair, take the cheaper ones in case they are dropped. Even if the sun isn’t visible, it’s still possible to get burnt, especially if you’ve got sensitive skin. You may be fooled into thinking that because there’s a cool breeze in the air you don’t need sun cream when hiking, but you’re mistaken. Opt for a cream with a high SPF such as SPF30. It’s likely you’ll be sweating a lot when hiking, so buy waterproof sun cream that will stick despite the streams of sweat running down your body. Don’t just pack sun cream in your hiking bag, put it on before you leave and reapply every few hours, making sure you cover your ears, the back of your neck and cheeks properly. Grassy and green areas are known for having many different kinds of bugs and there’s nothing worse than finishing a hike successfully and discovering you’ve been attacked by hundreds of hungry insects. No matter what the season is it’s always a good idea to pack a lightweight waterproof jacket when hiking. Lightweight mountain jackets that are 100% waterproof aren’t heavy and take up very little space in your hiking backpack. 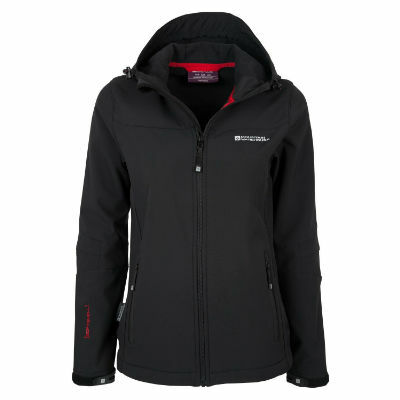 These jackets will keep you dry, warm to a certain extent and also protect you from the wind. Another important item for a hiking trip is a small well-equipped first aid kit. Things happen and without tempting fate, you should always have a first aid kit when hiking. You can buy a readymade first aid kit or you can make your own, but there are a few essential items you should have in it such as plasters, bandages, antiseptic cream, scissors, disinfectant, aspirin, and also moleskin just in case you get a blister when walking. Hiking is great fun and a full-day hike can make for an excellent day out, but if you’re not prepared then it could be a different story. Take all the essential items for hiking and try and pack your backpack as light as possible without forgetting anything, and this way you’ll be prepared for any situation you face and you’re also more likely to enjoy your hike.